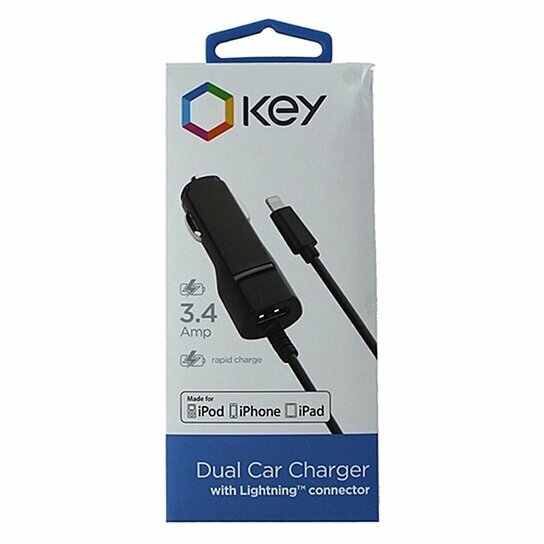 Key products, 3.4A Car Charger with Apple Lightning Connector and Extra USB Port. All Black finish. 5V - 2.4A Output on the lightning connector and 5V - 1A Output on the USB Slot.